The Wood 'n' Potter - 2019 Calendar In August 2017 The Wood 'n' Potter moved into their new home and studio in Lewisville. We are back in production. Thank you for being patient. It took almost a year to move and build. We hope to see you at one of our 2019 events.Saturday, March 2, 2019 - Senior Services Art Show & Salem - A Benefit for Meals-on-Wheels10:00 - 3:00Location: 2895 Shorefair Drive in Winston-Salem, NCAs the year unfolds, we will continue to add more events. Please check back for more opportunities to meetThe Wood 'n' Potter. We will continue to sell at The Coffee Mill in Lewisville. New items monthly. In August 2017 The Wood 'n' Potter moved into their new home and studio in Lewisville. We are back in production. Thank you for being patient. It took almost a year to move and build. We hope to see you at one of our 2019 events. We will continue to sell at The Coffee Mill in Lewisville. New items monthly. 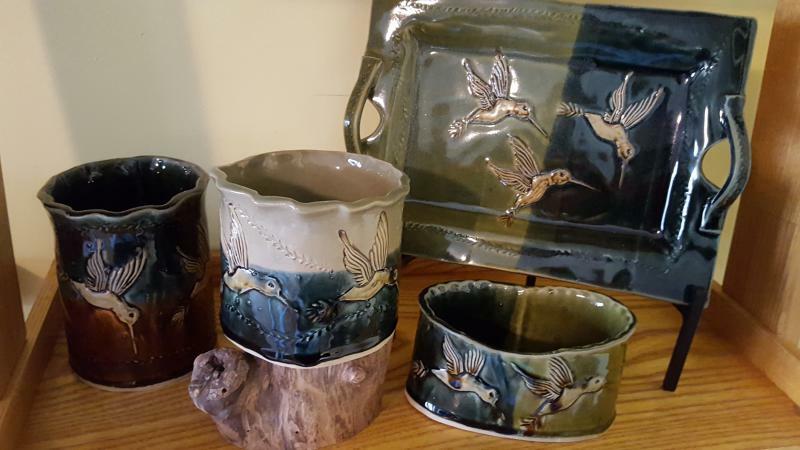 Watch for exciting news and articles from The Wood ‘n’ Potter Studio!! "Finding an Art Career After Retirement"
Copyright 2011 The Wood 'n' Potter. All rights reserved.